Opening and running a successful spa takes a lot of thought and preparation. Esthemag is here for you every step of the way. This is the first installment of our exciting new series on Opening a Spa. Over the course of the next eight issues, we will take you through the ins and outs of opening a spa from finding a location to meeting suppliers to creating customer loyalty. As with starting any business, it can be a risky and stressful venture. Taking a tactical approach, knowing all that is involved with a project of this magnitude and being thorough in the application of that knowledge, will greatly increase the chance of a new spa’s success. 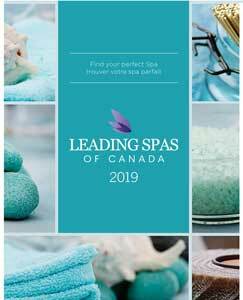 As Canada’s top esthetics, spa and wellness magazine, we’ve got everything you need to know to start and run a successful business. The very first thing that a potential spa operator needs to do is develop a business plan. This is the most fundamental document that a spa entrepreneur will create and its purpose is manyfold. It will provide internal guidance over a set period of time, it will keep track of activities for any external advisors, will keep the government informed of your doings and will give investors or lenders an idea of how prepared you are. There is no set structure or formula for creating the perfect spa business plan, and with such an endless variety of services, there are many angles to consider. “You need to look at what exactly you want to do and plan to organize the structure in the way that best suits what you want,” says Michel Gregoire, Co-owner of distributor Sopar International and speaker on how to manage a spa. This, however, doesn’t mean that you’re completely on your own. There are still many questions that every business plan must answer, and the more thoroughly these are addressed in the plan at the beginning, the smoother operation will be down the road. “For a spa, there are certain ingredients that you need to get together. There is good reason to write a business plan for something like this,” says Benson Honig, Professor of Entrepreneurship at Wilfred Laurier University. The “what” encompasses a large number of things. First, what exactly is the spa going to be? With that in mind, a company description should be the first section of the plan, and should contain introductory information. It is essentially the cover letter of the business plan, outlining everything briefly that the rest of the plan will explain in detail. “What will be the name of my company?” asks Gregoire. 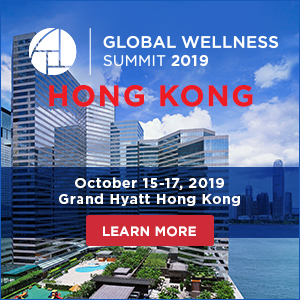 “And what business are you in?” If you plan to incorporate a full wellness program, you will indeed be a spa, if you are primarily focusing on exterior treatments, then you will be an esthetic salon, and should clearly state this for potential investors. The mission statement forms another key piece of the company description. Getting into greater detail in later pages of the plan, outline the full spectrum of products and services that will be offered and the planned cost for each. If additional service options are to be implemented down the road, provide a timeframe and costs. Further along in the business plan, “what” also approaches the issue of funding. “You need to know your initial investment,” says Arangio. Supplies and equipment need to be priced and included, as does the cost of land and construction, or, if purchasing an existing building, the costs associated with that. Additionally, says Gregoire, a financial projection is important. Look ahead at least three years and include balance sheets, income statements and cash flow statements. “People may not like to say it, but you also need to look at what kind of profit you can generate. That’s what it’s all about, it’s the reason you start a business,” he says. Staff salary or wage figures should also be included. Staffing makes up the “who” of your plan. “This industry is all about people. Hiring the right people for a given task is very important and showing them the way as per your vision is also important,” says Gregoire. When compiling the business plan, an entrepreneur needs to define staffing requirements, as well as responsibilities of each staff member. As an owner, ask yourself plenty of questions. Will you have a full-time front desk attendant? If not, who will answer the phones and take appointments? If you have coffee or espresso for waiting clients, who will serve them? Identify how you will pay each staff member (hourly, salary, monthly, commission), will you pay commission to any staff in addition to regular pay, outline what kind of benefits you will offer to staff in each bracket (part-time, full-time, casual, seasonal) and what kind of training you will provide to keep staff skills and knowledge relevant. “This also includes project timing, like when you would need to hire people,” says Honig. You may not need a full complement of staff in the first year, as the client base builds, but be sure to identify the potential for a larger group of employees in the future, if that potential exists. Any managerial staff (the owner included) should provide a brief biography outlining their background and suitability for occupying a given position in the business. The business plan must identify when milestones will be met. “When” messages can be peppered throughout the rest of the plan at any mention of an event. If you expect to require more staff two years down the road to meet growing demand, set a date and include this information. Do you plan to offer a more comprehensive menu of male- This is generally straightforward. Where will the spa physically be located? The more detailed this is, the better. Including information about any non-spa businesses in the area can also benefit the plan. For example, are you near a tennis club? A retirement home? These could have a major impact on profitability. Why is this a good location? Why did you choose this name? Why do you plan to structure the spa as a corporation? You must also identify why the spa will succeed. This will have much to do with the market research you’ve done. Offering competitive prices on treatments is a key to success. “Go door to door, use the Internet, get treatments in various places. Find out about other spa services and be competitive with that,” says Arangio. Marketing will also have an impact on the success of the spa. Set out the marketing plan and outline why it will be effective. “You will need to look at everything about how you’re going to promote the business from the beginning and how that will change as you get more established,” says Gregoire. That is the final question the business plan must answer. “How” will all of this happen? Who will you target what services to, how will you market and support these services, when will you begin to offer this and why is it worth doing? 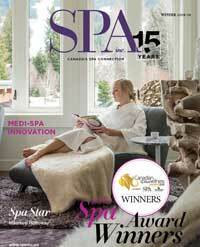 How will you replace the 10 per cent of clients that spas lose annually? How do you hire the right people? If you are unable to identify how objectives will be met, investors and lenders are unlikely to take a chance on your business. Writing a business plan is an arduous task and undoubtedly a reality check for entrepreneurial hopefuls. The experts say it is worth the time. It can mean the difference between success and failure. • What is the name of the business and what do you do? • How will the business be structured? • What is your target demographic? • What are your key milestones and what is the timeframe for each? • Where will the business be located? • What makes it stand out? • What services will you offer? • What will each of these services cost? • How long will each service last? • What is the purpose of this service? • Do you possess any technical advantages over the competition? • Will you offer more services in the future? • What products will you sell? • Who is/are the wholesaler(s) or manufacturer(s)? • What is the expected profit from product sales? • Is any certification required for the job? • Will you need more staff in the future? • What are the points of difference between your spa and competitors? • What do other spas offer? • What is the population of the city? • Are there specific population characteristics? • What are local people targeting at other spas for service? • Who are the community advertisers? • Are there local businesses that will help support you by generating traffic? • How does your proposed location benefit the business? • Why is this location good? • What are the best- and worst-case scenarios? 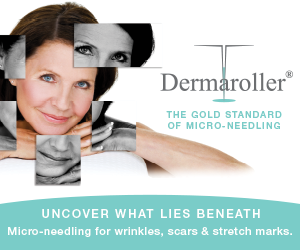 • Look at least three "years into the future"
• Have you approached any spa associations to provide information? • Have you attended trade shows to speak with similar spa owners and discuss financial possibilities? • Have you consulted any other forms of media for profit benchmarks? • How do you plan to market the business? • Will marketing grow, shrink or stay the same as time goes by? • Will you host any promotions? • What are the timelines for these promotions? • Why is this structure appropriate? • What advantages will this provide?